On this last day of 2011, this is about that time when everyone's going to start making a long list of resolutions that they'll be all gung-ho about for about three weeks, until their coffee addiction starts calling their name at 2:15 in the afternoon, they seem to pass a Marshall's on every corner which is full of new clothes for the season, or they just have to drop in - just to look - at all the cupcakes in the bakery they pass every day. I've decided to not to make a list - at least not a long-term list. If I fail to meet my goals, then I'll only feel disappointed in and frustrated with myself. And a frustrated me is not that fun to be around. Just ask Jamie how delightful I am after four failed batches of caramel in a row. This past Tuesday, I made a list of things I wanted to get done this week, while I had the time off work. Some were small and easy to do, like returning something to a department store and taking a box of photo albums to the storage unit to make more room on my bookshelf. I wrote and mailed thank-you notes. I put all my laundry away (one of my most despised chores) and then made myself go through my closet and fill three bags with clothes to donate. This is hard for me, because I so love clothes and love having a variety of things to wear. Even those things that I have yet to wear, because I bought them a size or two too small to motivate myself to work out more so I could fit into them. One of the more time-consuming tasks I gave myself was to go through all my stacks of magazines and cut out all the articles and recipes I wanted to keep. Freeing up the shelves for... more magazines. It's a never-ending cycle, that one. But it does make me feel good that of the 9 things on my list for the week, I've crossed off 6 already. And since I don't have to go back to work until Tuesday, there's a good chance I'll get the others done, too. So this is my resolution for 2012: to frequently make short-term goals that I know I can achieve. And to not pay attention to all that silliness about the world ending. 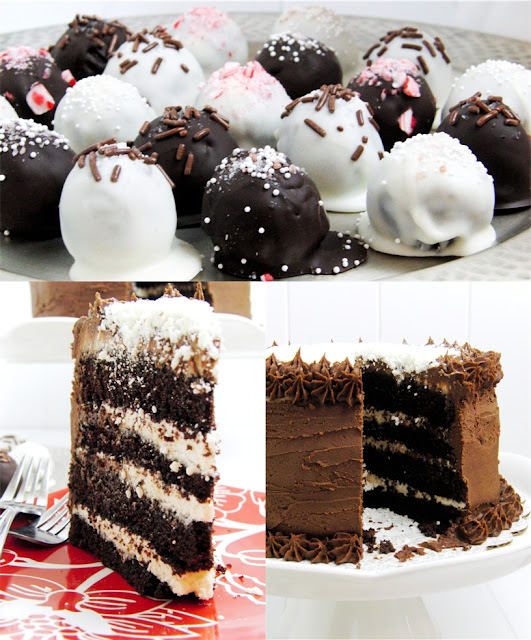 With the holidays almost over, I have to admit that I'm a little sick of sweets. At least the heavy, buttery, chocolatey caramelly ones. Which brings me to eggnog, which I love. I made my own once years ago - I don't remember if it was cooked or not - but it was pretty bad. I was expecting that creamy from-the-carton taste, and that didn't have it. Although I'm about done with sweets, I'm not quite sick of eggnog yet, which I consider a sweet, and still have some left in the fridge from Christmas. I've been enjoying a White Russian (or two) in the evenings this week, made with a little Pumpkin Spice Eggnog. There will be no more layer cakes for quite a while now; instead, it's back to small, individual desserts once a week, with no tempting leftovers. 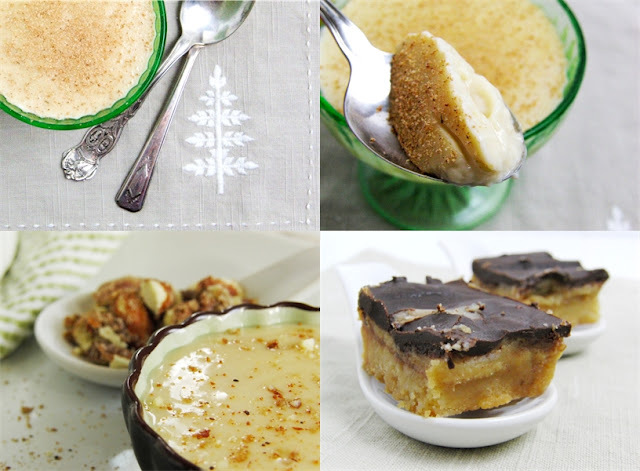 This eggnog pudding is right up that alley. It's smooth and silky, slightly sweet, and oh-so-easy with just 4 ingredients and 10 minutes of your time. I would have liked a little cookie with the pudding for a crunchy/chewy texture to balance the silkiness of the pudding, but with no cookies in the house, we ate a little square of the caramel bars that my mom brought us from someone she works with. They were so good I don't dare make them. And with the extra pudding, I made a creamy eggnog french toast bread pudding for breakfast, with some crushed almonds and pecans. Jamie ate all of his, it was that good. Place the cornstarch in a medium saucepan. Pour 1 cup of the eggnog into the pan and whisk until it's pretty much smooth with no visible lumps. Add the remaining eggnog, liquor (if using), and vanilla. Turn the heat to medium and cook, whisking constantly, until thickened, about 8-10 minutes. Immediately pour into 4 serving dishes. Cover dishes with plastic wrap and refrigerate for 1 hour before serving. Garnish with a sprinkling of nutmeg. Preheat the oven to 350. Spray two medium-sized ramekins with non-stick spray. 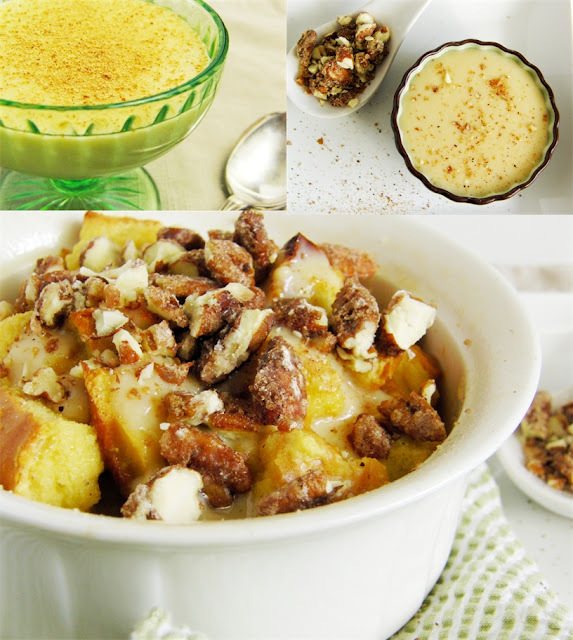 In a bowl, whisk together 1/2 cup of the eggnog pudding, eggs, milk, vanilla and nutmeg until smooth. Add the bread and toss so that that the bread absorbs the liquid. Divide bread mixture between the ramekins. Bake uncovered for 25-30 minutes, until bread is golden brown on top. Meanwhile, combine the remaining 1/2 cup eggnog pudding and the honey in a small saucepan. Warm over medium low heat, stirring occasionally, just until warm. Set aside. 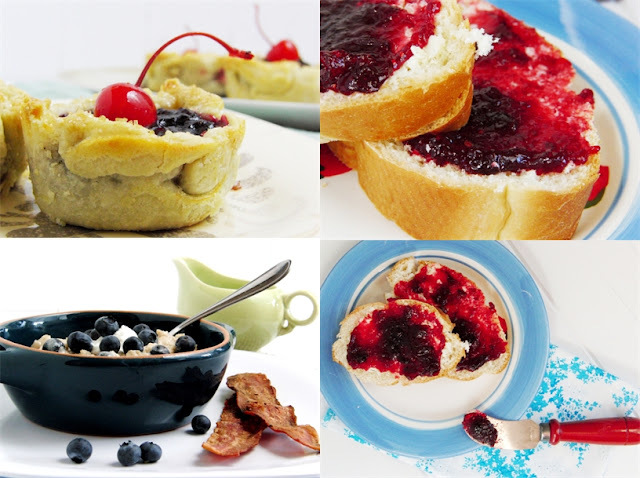 When the bread puddings are done, place the ramekins on serving dishes. Drizzle each with a spoonful of the eggnog honey sauce, then pour the remaining sauce into small dipping bowls to serve on the side. Sprinkle puddings with the chopped nuts and additional nutmeg. Today Jamie and I ran some errands to get some last minute accessories for our New Year's Eve outfits - we're going to a friend's house tomorrow night for a 90's themed party. Jamie asked me tonight what I drank in the 90's - my answer was that since I was still 17 when I graduated high school in '96, I wasn't drinking anything! I'm one of the few who actually never had a drink until I was 21. And even then it wasn't exactly wild - a Bacardi and Lemonade at Applebees with my sister on my birthday. As far as the party, Jamie's outfit is going to be completely awesome - he put a lot more effort into his than I put into mine - and I'm sure I'll share a picture or two next week. 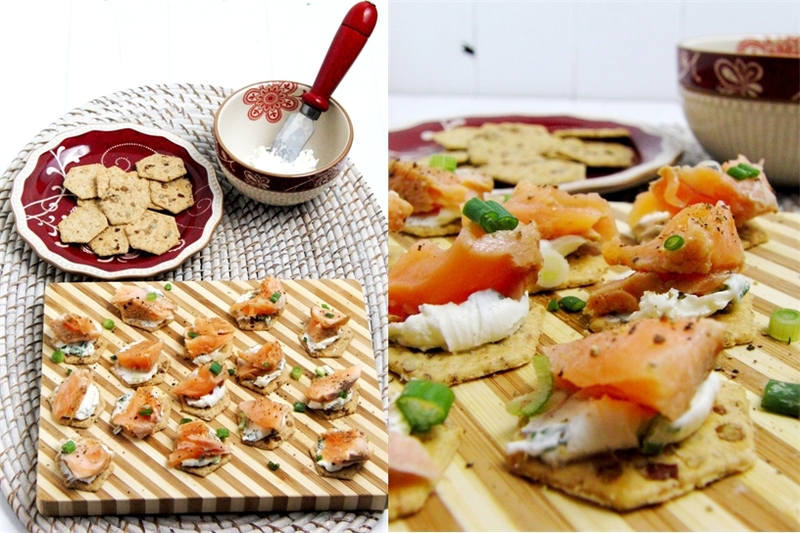 A few nights ago, I made these little appetizers to snack on before dinner, and while combining cream cheese and salmon isn't exactly an original idea, it's worth mentioning since it's so yummy and so easy. Most people would use smoked salmon for this, but we had grilled some salmon the night before and had leftovers in the fridge, so I used that. Either will work just fine. A little cream cheese with lemon, green onion, salt and pepper was just the right thing to top the crackers - and it was a cracker I just discovered - Pecan Wheatables. They may be my new favorite cracker now. I've also been eating them lately with hummus, which is also delicious. These would be fantastic for a New Year's get together - they're easy and quick to put together, and everyone (everyone who loves salmon, that is) will love them. In a bowl, combine the cream cheese, lemon zest and juice, green onions, parsley, cayenne pepper and salt and pepper. Spread about a teaspoon of the cream cheese mixture on each cracker. Top with the salmon. Garnish with a few more sliced green onions and freshly cracked black pepper. Yields 40-50, depending on the size of the crackers. Yesterday, we took down our Christmas decorations, except for the outdoor lights on the balcony and the wreath on the door. I felt like it was time - time to put everything away, move the green chair back to its spot in the living room, vacuum up all the fallen needles and glitter from the carpet - and even though we were able to enjoy all the decorations for a month already, it makes me a little sad to put it all away until next year. Before Christmas there's so much anticipation and preparation... and then it's over so quickly. It's strange how fast a month can fly by. And already, stores are stocked with pink and red and white for Valentines. I've been craving blueberries lately, and with the warm days we've been having this week - nearly 50 degrees - I like the idea of something fruity and sweet and light, for a change from all the rich holiday desserts. Unfortunately, it's not the season for blueberries. They're not only incredibly expensive right now, but they're also missing that crisp taste that bursts in your mouth when you bite into one. But I won't let that stop me. With two bags of cranberries still to use up, I wanted to make more jam. 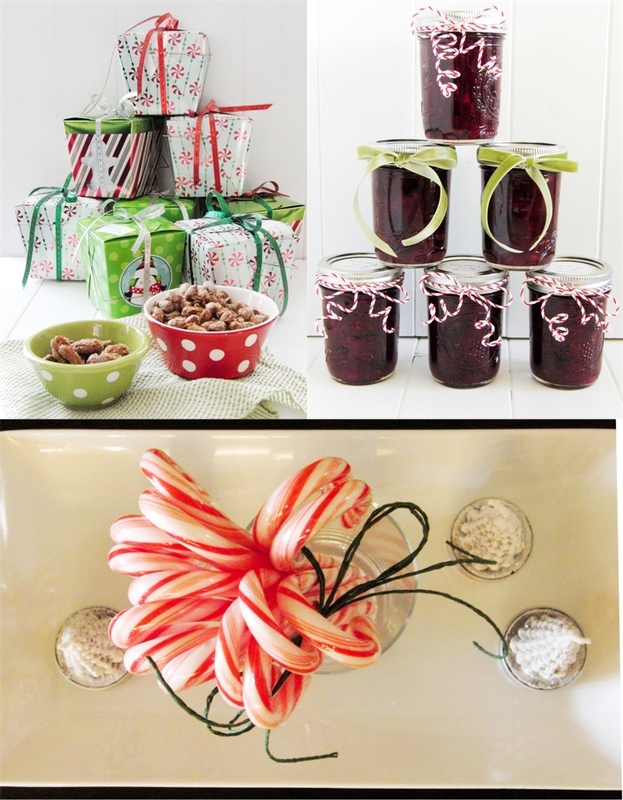 Before Christmas, I made a big batch of cranberry orange preserves, which was a little like a cranberry marmalade. But I gave it all away, so to stock up a little jam for us, I made another batch, this time with cranberries and blueberries. 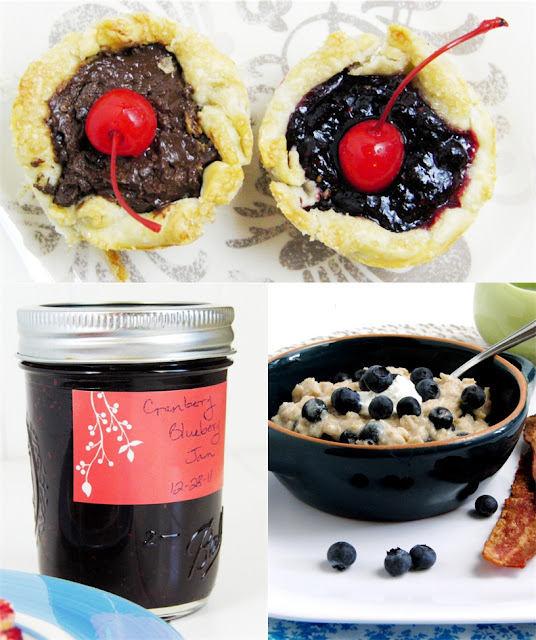 The sweetness of the blueberries were such a nice balance to the tartness of the cranberries, and cooking them into a jam masked the fact that it's not the perfect season for blueberries. 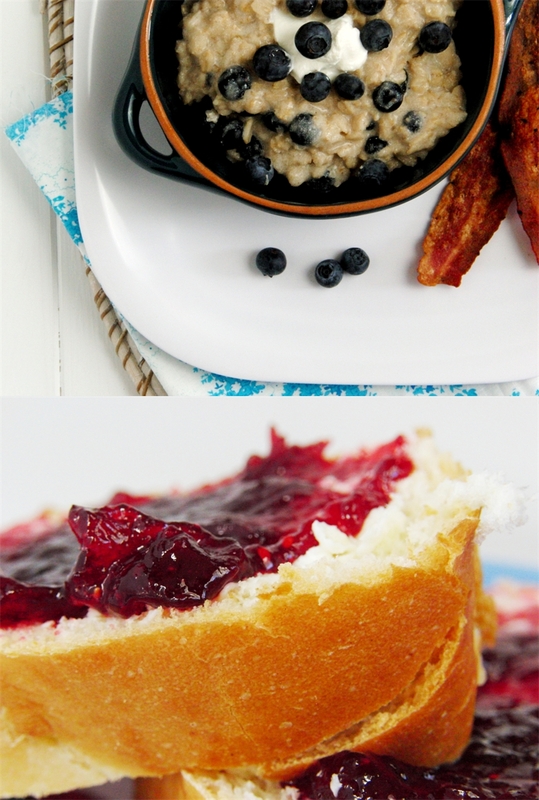 We're all stocked up on cranberry blueberry jam, now. For some variety, I may make some more soon - I like combining two or three fruits for a more complex flavor. After the jam was made, canned and cooled, I found some leftover pie dough in the freezer to make a few little tarts with. To make these tarts, all you need are a few scraps of dough, pressed into muffin tins (or an individual tart pan, if you have it). Fill each with about three tablespoons of filling, and the filling really can be anything you like. I made two with caramel and chocolate, and two with chocolate and jam. Lemon curd would be amazing, topped before serving with a dab of whipped cream. Fresh fruit with jam would be delicious. These can be made to suit anyone's taste, and what's great is you can make as many or as few as you'd like. If you want a little taste of pie, but don't have the willpower to resist a whole pie sitting on the counter, then just make one or two of these little tarts for a sampling of something sweet. And for breakfast yesterday, I added some blueberries and Greek yogurt to oatmeal for a healthy and filling breakfast. 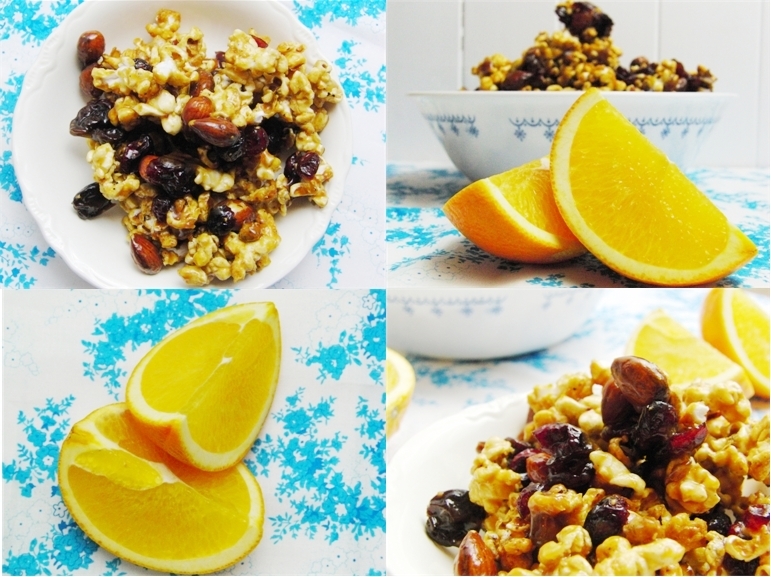 The Greek yogurt adds such creaminess to the oatmeal while keeping it healthy. In a medium saucepan, bring the water to a boil. Add the oats, salt and brown sugar. Bring to a boil over medium heat, then reduce to medium low. Cook, stirring occasionally, for 4-5 minutes, until the water is mostly absorbed. Stir in the yogurt until smooth. Stir in the blueberries. Cover and let sit for 3 minutes. Spoon into bowls and sprinkle with nutmeg. Add milk, if desired. In a large stock pot, combine the cranberries, blueberries, lemon zest and juice, water, cloves and vanilla. Over medium heat, simmer the fruit and spices for about 20-30 minutes, until the cranberries burst and the flavors develop. Mash the fruit with a potato masher, leaving it as chunky as you like. Stir in the butter (this helps prevent a foamy texture to the jam). Sprinkle the pectin over the mixture and stir to combine. Turn the heat to high and bring to a boil, while stirring constantly. Add the sugar all at once and stir to dissolve. Return to a vigorous boil, while stirring constantly, and boil hard for 1 minute. Remove from the heat. 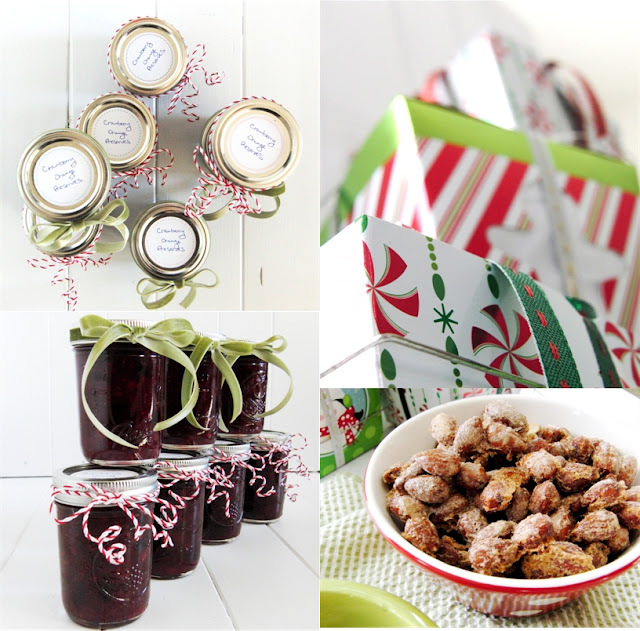 Yields 8 half-pint jars (8 cups) of jam. Preheat the oven to 350. If you don't have an individual tart pan, which I don't, then use a muffin tin to make your tarts. Take half-ounce pieces of dough (about a heaping tablespoon), shape into balls, then roll out into circles that can be pressed into the muffin pan with a little overhang. Tuck the edges under. Spoon filling into the dough. Brush the edges of the dough with a little egg white (to help it brown) and sprinkle with the sugar. Bake for 30 minutes, until crust is golden brown. Cool in the pan for 5 minutes, then carefully remove from the pan. Cool on a plate and serve warm or at room temperature. I hope you all had a happy and peaceful Christmas with the people you love. Jamie and I were able to spend time with some of both our families, and we had a white Christmas wherever we went! Colorado was already blanketed in snow, and when we arrived at Jamie's sister's place in Washington, freshly falling snow greeted us there, too. The Friday before Christmas, we had my parents over for the day, and started the morning with a late breakfast of Eggnog Cinnamon Rolls, drizzled with warm Lemon Curd I made that morning, and a Frittata with Mushrooms, Spinach, Onions and Ham. After breakfast there was lots of time to relax, watch movies, drink coffee, snack on popcorn, nuts and veggies, and talk. 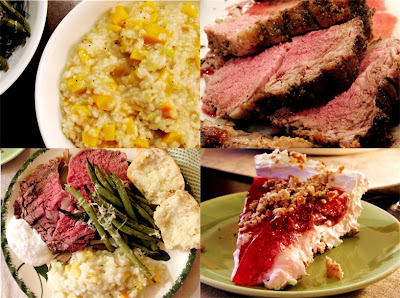 We kept the dinner fairly simple, but delicious, so that no one had to spend all day cooking. Jamie cooked Prime Rib, seasoned with Peppercorns and Garlic, with a creamy horseradish sauce on the side and a little au jus. The beef was perfectly tender and juicy. For my contribution, I made a Butternut Squash Risotto. It was the first time I'd made risotto, and was surprised at how easy it was since people are always saying how tricky it is. Probably the same people who say that making caramel is easy! I didn't think it was difficult at all, just time-consuming since I had to stand there stirring it constantly while adding broth for 30 minutes, but it was so creamy and fragrant, with bits of butternut squash, creamy Parmesan cheese, and a hint of lemon. My mom made her Pretzel Salad, which has been a Christmas tradition in our family for years, but I don't know why it's called a salad. It's really just dessert. It starts with a crushed salted pretzel crust, topped with a creamy layer of cream cheese and whipped cream, and then a layer of sweet strawberry jello and whole strawberries. If you're thinking this sounds like a kid dessert, it sort of is, but I still love it! She also made yeast rolls and roasted some green beans with a little garlic and lemon, with a sprinkling of Parmesan. For dessert, I made a 4-layer Chocolate Cake with chocolate and vanilla buttercream, and a sprinkling of white chocolate "snow". In my mind, I was planning to decorate the cake with fancy piping that looked like a snowflake... but in reality, my decorating skills are just not what I'd like, so what you see in the pictures is the final result. 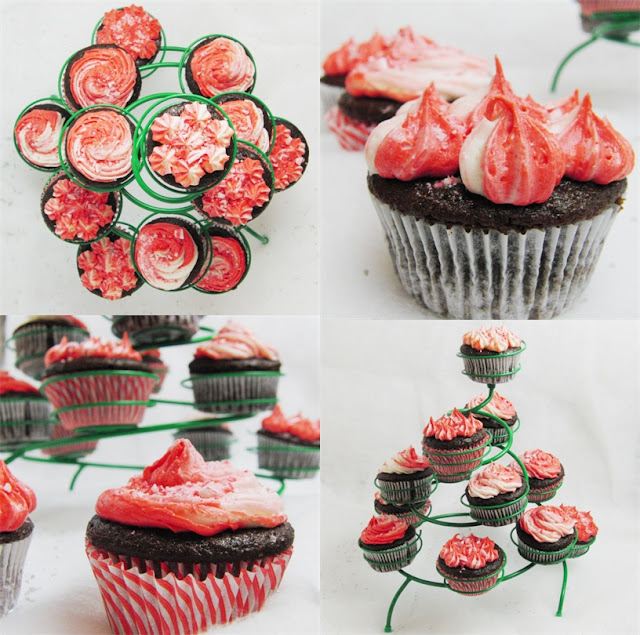 Remember the Chocolate Peppermint Cupcakes from last week, with the first batch not being quite right? With the leftover cake crumbs from that first batch of cupcakes, I made Christmas Truffles by combining the crumbled chocolate cake with cold coffee to create a moist filling that, after chilled, I rolled into balls and dipped in white and bittersweet chocolate, sprinkling each with a variety of sprinkles, crushed peppermint and sea salt. It was a sweet finish to the day. There were presents, too, of course, and the living room was a flurry of bright paper, ribbons and boxes. Jamie and I each ended up buying each other the same present - a convection oven! So we'll keep one and return the other, and we're both looking forward to using it. Immediately after landing, we headed to the Pepsi Center for a performance by the Trans-Siberian Orchestra, and it was a wonderful and inspiring ending to our Christmas weekend. Home now, I'm looking forward to a few days with Jamie to enjoy the rest of the holidays. Preheat the oven to 350. Prepare two 8 inch round cake pans by spraying the bottoms only with non-stick spray. Line the bottom with parchment paper, then spray the paper with the non-stick spray. Set aside. Divide batter between the cake pans. Bake for 25-28 minutes until the center of each cake springs back when gently touched. Set the pans on wire racks and cover with a clean kitchen towel. Cool completely in the pans. For the vanilla frosting, place all ingredients in the bowl of your stand mixer fitted with the whisk attachment. Mix on low to combine, then increase speed to medium high and whip until very light and fluffy. For the chocolate frosting, place all ingredients in the bowl of your stand mixer fitted with the whisk attachment. Mix on low to combine, then increase speed to medium high and whip until very light and fluffy. Remove the cakes from the pans and peel off the parchment paper. Use a sharp knife or cake leveler to level the tops of the cakes and to split each in half for a 4-layer cake. Set the first layer of cake on a cake plate. Spread with a layer of the vanilla buttercream, about 1/4 inch thick. Repeat with the 2nd and 3rd layers of cake and vanilla buttercream. Top with the 4th layer of cake. 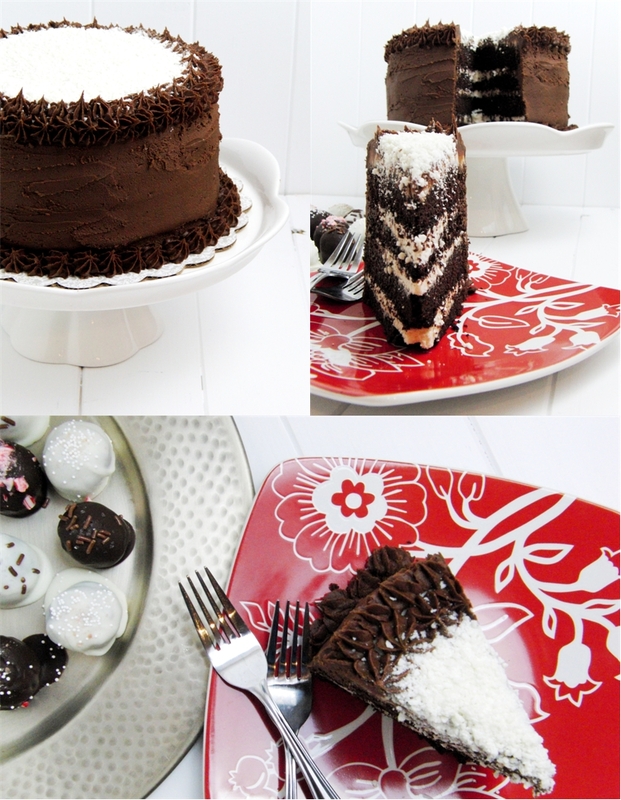 Frost entire cake with a thin "crumb coat" of vanilla buttercream. Let frosting set for about 20 minutes. Frost the top of the cake with vanilla buttercream. 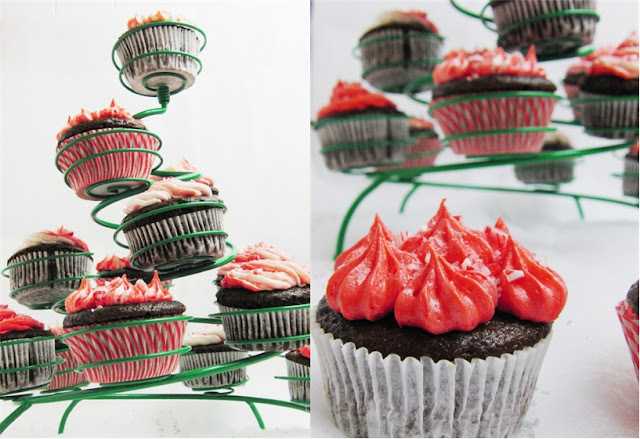 Frost the sides with the chocolate buttercream, swirling as desired. Pipe additional chocolate buttercream around the top and bottom edges. If desired, sprinkle the chopped white chocolate on top of the cake to resemble snow. There's no need to use all the buttercream if there's extra left - just store in an airtight container in the fridge for another cake. Pour the warm water into the bowl of your electric mixer and sprinkle the yeast over the water. Let stand for 10 minutes until foamy. Add the warmed eggnog, sugar (2 1/2 tablespoons), oil, baking powder, salt, egg, and 2 cups of flour. Mix with the dough hook until smooth. Add 1 1/2 cups more flour, a half cup at a time, with the mixer on low. Knead the dough for 8 minutes on medium-low speed, adding the last half cup of flour a little at a time, as needed. Place dough in an oiled bowl and cover with plastic wrap. Let rise in a warm place for 1 hour, until doubled in size. On a lightly floured surface, roll out dough into a rectangle, about 9x15 inches. Brush with 4 tablespoons of the melted butter. In a small bowl, combine the 1/2 cups brown sugar and white sugar and the cinnamon. Sprinkle sugar mixture over the dough. If adding nuts or dried fruit, sprinkle them over the sugar mixture. Roll the dough up into a log (from one short side to the other). Dip a sharp knife in flour and slice the log into 12 equal pieces. Brush 1 more tablespoon of the melted butter on the bottom of a 9x13 pan. Place the cinnamon rolls, cut side down, in the pan. Brush the rolls with the last tablespoon of melted butter. Cover the pan with plastic wrap and refrigerate overnight. At this point, you could also wrap the cinnamon rolls in plastic and then foil, and freeze for a month or two until you're ready to bake them. Take the rolls out of the fridge 1-2 hours before you're ready to bake them and let them rise a little in a warm place. Preheat the oven to 350. Bake the rolls, uncovered, until risen and golden brown, about 25-30 minutes. While the rolls are hot, drizzle with warm lemon curd, or a powdered sugar glaze. 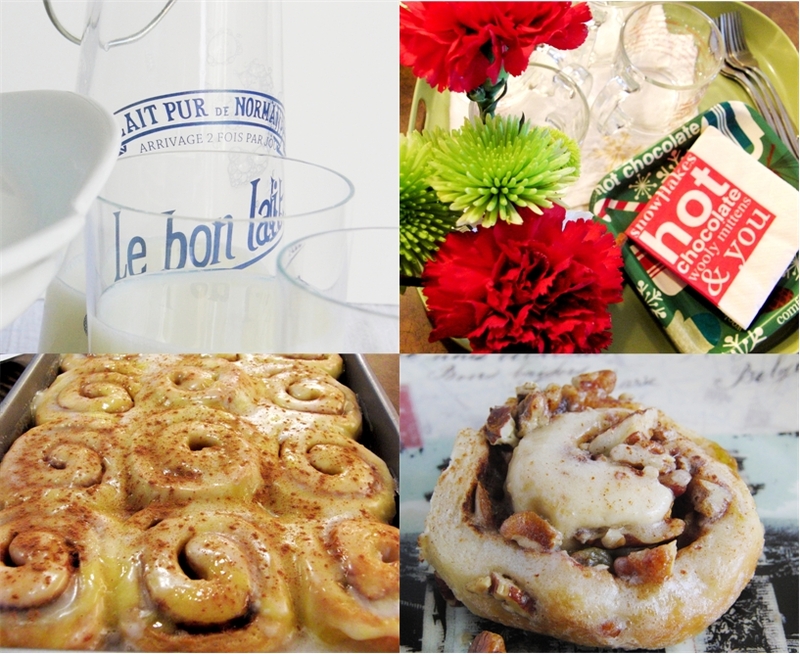 Holiday Treats and Gift Ideas...6 days 'till Christmas! It's nearly Christmas and I'm nearly ready... My kitchen has become a little Santa's Workshop of homemade treats and goodies, ribbons and stickers and tissue paper... so if you're still looking for some gift ideas, then I have five recipes here for you, plus an extra one just for you after all your hard work in the kitchen. In addition to all the cooking and baking, I took a few photos of my table arrangement, just to show how even a small table like ours can still have room for a pretty arrangement that doesn't cost too much. I think the glass of candy canes tied with green twine, snowman candle holders (from the seasonal aisle at the grocery store) and the sparkly Christmas tree candles (Bed, Bath and Beyond), while simple and inexpensive, look really pretty for our Christmas dinner this weekend. Now for the treats, I'll start with the caramel... It's no secret that I have a really difficult time making caramel. I don't know what it is, but I just can't seem to master it. I try all the tips and tricks that all the experts suggest, and still every time, I end up scrubbing a big, grainy crystallized mess out of the pot. Yesterday I tried three times, and each time it was ruined. It's a good thing sugar is so cheap. Those sugar crystals are out to get me. While Jamie was out, I whipped up a little Nutmeg Pot de Creme for dessert that night - because pot de creme is something I can do well, and I had to do something to make up for three failed batches of caramel. I made it a little less rich than the original version (see recipe link below), but I liked the light and fluffy texture the pudding had, and the flavor was amazing. After making Cranberry Orange Compote for Thanksgiving, I was inspired to make jam, and came up with this recipe for Cranberry Orange Preserves. Cranberries are on sale at the grocery store now, so it's a good time to buy a whole bunch for a recipe like this. 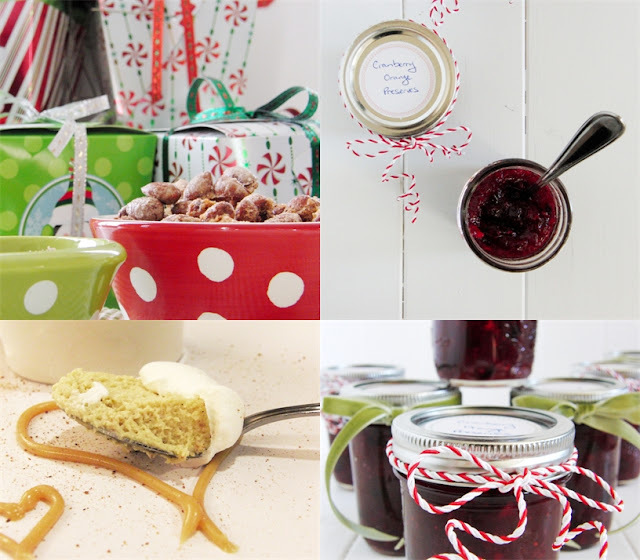 This jam is a little reminiscent of orange marmalade, since there's a whole orange, peel and all, in the jam, but it has a wonderfully sweet and tangy flavor, and I love the combination of cranberry and orange with lots of Christmas spices. I don't know anyone who can resist a bowl of nuts, and these Sugar and Spice Nuts are completely addictive. They're sweet, crunchy and salty, with hints of vanilla, orange, cinnamon and nutmeg, and you'll want to start nibbling on them as soon as you take them out of the oven. Last year, I found a recipe for Almond Cranberry Caramel Popcorn that I made and LOVED, and since then I've improved it even more. This sticky caramel popcorn has just the right amount of saltiness and sweetness, with crunchy almonds sprinkled throughout and tart dried cranberries. One thing to watch out for, though... the unpopped kernels. After I popped the popcorn, I made the mistake of not picking out the unpopped kernels before pouring on the caramel. Needless to say, we had to chew very carefully to avoid biting down on a kernel (my dad broke a tooth that way once! ), so I didn't end up packing this up for gifts. I'll make another batch soon, though, and will be more careful about the kernels next time! 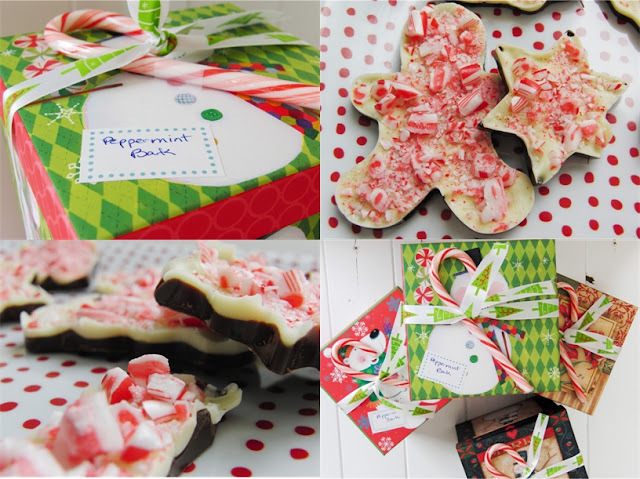 And last but not least... the Peppermint Bark. 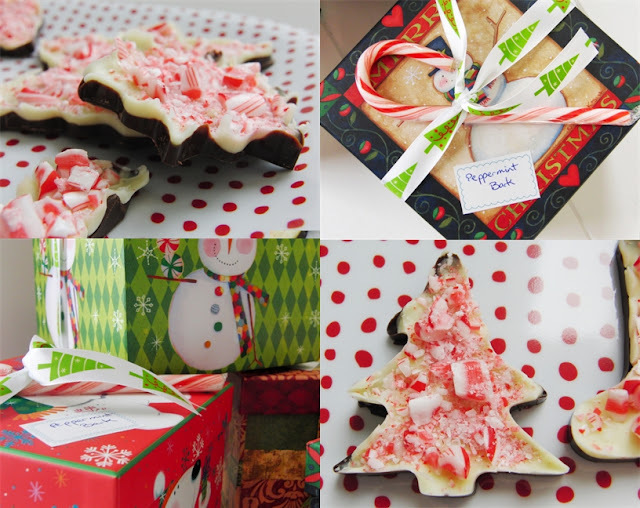 I adore peppermint bark and really wanted to make my own this year. At the last minute, I decided to mold the chocolate in Christmas cookie cutters (instead of pouring it on a baking sheet and breaking into pieces). Molding the chocolate was very time-consuming, but I wouldn't for a second say it wasn't worth the effort, because just how adorable are those pieces of bark in cute little Christmas shapes? For all your gift packaging, craft stores have all this stuff on sale right now - I got all the little boxes, ribbons and labels for 50% off at Michaels over the weekend and had everything I needed to make the packages look completely adorable. 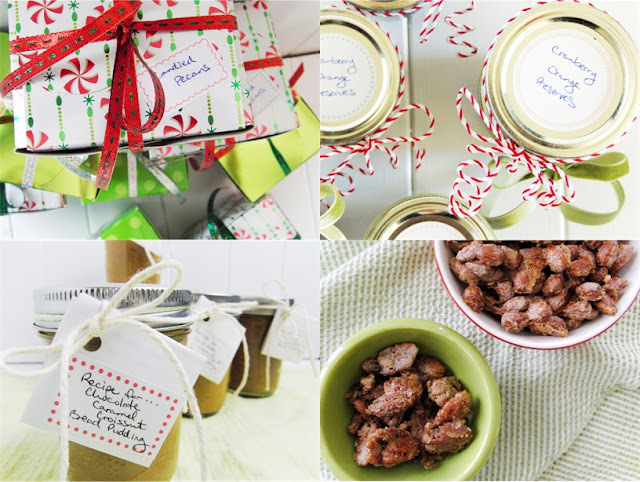 I hope you enjoy these gift ideas and the yummy treats! 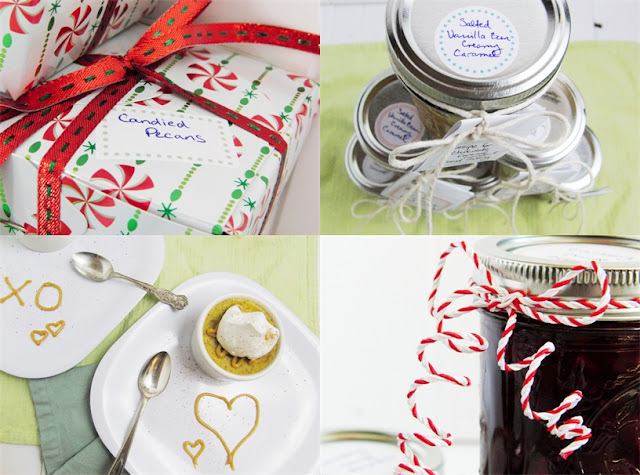 I'd love to hear all of your ideas for homemade gifts, goodies and pretty packaging. Place the cranberries in a large stock pot. Place the orange quarters, including the peel, and orange juice in your food processor and puree into a chunky pulp. Add to the stock pot. Add the cinnamon stick, cinnamon, nutmeg, cloves, vanilla and water to the pot. Over medium heat, simmer the fruit and spices for about 20-30 minutes, until the cranberries burst and the flavors develop. Mash the fruit with a potato masher, leaving it as chunky as you like. Stir in the butter (this helps prevent a foamy texture to the jam). Sprinkle the pectin over the mixture and stir to combine. Turn the heat to high and bring to a boil, while stirring constantly. Add the sugar all at once and stir to dissolve. Return to a vigorous boil, while stirring constantly, and boil hard for 1 minute. Remove from the heat. Remove the cinnamon stick from the pot. For a gift, tie with a pretty ribbon and label. Place the bittersweet chocolate in a heatproof bowl, and set the bowl over a pan of gently simmering water (the bottom of the bowl should not be touching the water). Melt the chocolate, stirring occasionally, until smooth. Meanwhile, line a baking sheet with foil and place the cookie cutters on the foil. Pour the melted bittersweet chocolate into the cookie cutters (I poured the chocolate into a piping tool to make this step easier). Use the pointed end of a chopstick to get the chocolate into all the nooks and crannies of the cookie cutters. The chocolate should be about 1/8 inch thick. If you don't have many cookie cutters to fill at once, then you will need to make these in batches - set aside any unused chocolate for the next set. The white chocolate has a thicker consistency, but try to use the same amount as you did of dark chocolate, so that it comes out evenly. Pour the white chocolate over the dark chocolate, using a chopstick again to spread out the chocolate to the edges and corners of the cookie cutters. The white chocolate should also be 1/8 inch thick, so that now you have a 1/4 inch thick piece of bark with both layers of chocolate. Before the white chocolate sets, immediately sprinkle with the crushed peppermint, and add a tiny sprinkle of sea salt, before moving on to the next one. Cover any unused white chocolate until you're ready to make the next batch. Place the baking sheet in the freezer again to thoroughly chill, about 30 minutes. Remove from the freezer. Lift the cookie cutters off the foil and carefully loosen the chocolate from the cutters, using the blunt end of a chopstick to help push it out of the mold. Handling the chocolate as little as possible, so as not to melt it with your fingers, transfer the pieces of bark to a clean baking sheet and place in the refrigerator. Follow the whole process again until you've used up all the chocolate. 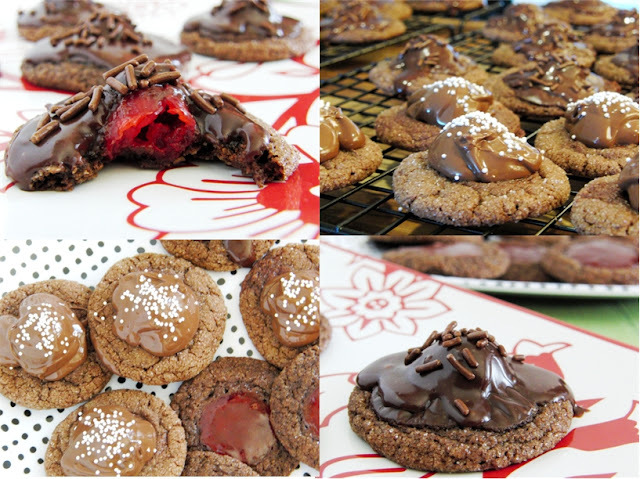 Alternatively, instead of pouring the chocolate into the cookie cutters, you can simply spread the chocolate evenly on a baking sheet, and then break into pieces after it's chilled. For a gift, place the bark into a tissue-lined box and tie with a ribbon. A candy cane on top looks pretty. Yields 2 pounds of peppermint bark. Preheat the oven to 300 F. Line two baking sheets with foil and spray the foil with non-stick spray. Place the nuts in a large bowl and make sure there are no pieces of shell. (If using salted nuts, just reduce or eliminate the salt in the recipe.) In a separate bowl, whisk together the remaining ingredients. Pour mixture over the nuts and stir to coat thoroughly. Spread nuts in a single layer on the baking sheets. Bake for 20 minutes. Lift foil off the pans and place on the counter to cool completely. 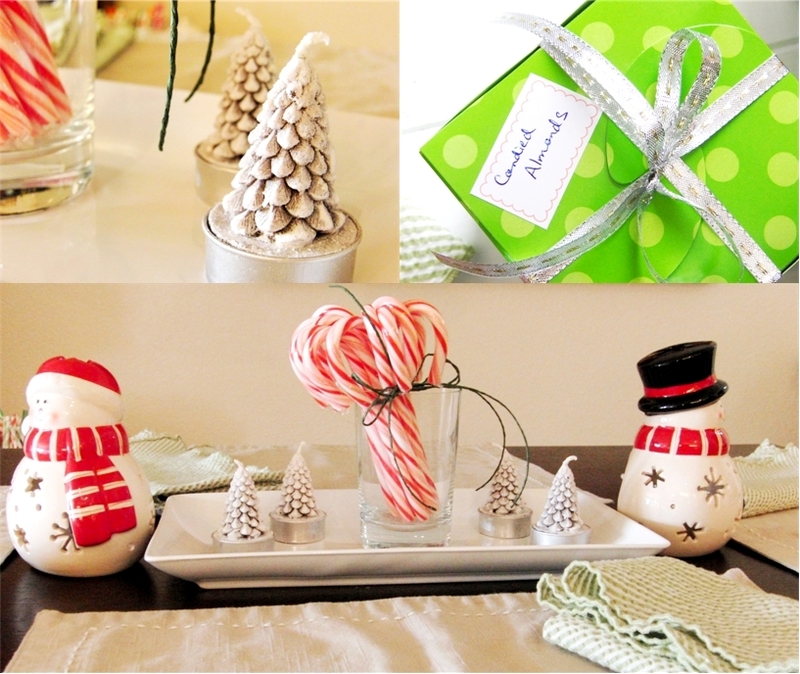 Break into pieces and store at room temperature, or package into decorative boxes or bags for gifts. Preheat the oven to 325 F. Spray 4 individual ramekins with non-stick spray. In a medium saucepan, combine the cream, milk, vanilla and nutmeg. Bring to a simmer over medium heat. In a separate bowl, whisk together the eggs, brown sugar and salt. Just when the cream mixture starts to bubble, remove from the heat. Very slowly, pour the hot cream into the egg mixture, whisking constantly, until well blended. Divide between the ramekins. Place the ramekins in a baking dish and fill the baking dish with hot water so that it comes halfway up the sides of the ramekins. Cover with foil. Bake for 35-40 minutes, until the edges of the custard is set but the centers are still jiggly. Cool on the counter for 1 hour, then chill in the fridge for two hours before serving (or serve warm, if desired). Top with whipped cream and a sprinkle of nutmeg. Preheat the oven to 275 F. Place the popcorn in a large roasting pan and sprinkle the cherries, almonds and butterscotch chips over the popcorn. Set aside. In a medium saucepan, combine the butter, brown sugar and corn syrup; cook over medium heat until the butter is melted. Stir in the orange juice and bring to a boil over medium heat, stirring constantly. Once mixture comes to a boil, boil for 2 minutes, continuing to stir constantly. Remove from heat and stir in the vanilla and baking soda - mixture will be foamy. Stir in the salt, orange peel and nutmeg. Pour caramel mixture over the popcorn mixture and stir to coat evenly. Bake at 275 for 30 minutes, stirring twice. Place a large piece of foil on the counter and spray with non-stick spray. Spread the popcorn on the foil and allow to cool and harden before storing in an airtight container.